Top 10 – The best places to check out in Calgary! When you first move to a new town (or visit) it’s difficult finding the best spots to check out! You have to ask around and find out what is great and what is worth skipping. So, we at The Moving Mom are compiling our favorite spots in destinations all over the world. And for each city, we find the best spots by talking to writers and readers who actually live in these cities! Today, we are featuring Calgary, Canada! The Calgary Stampede – This is a MUST SEE event in the summer in Calgary. If you are planning a trip to Calgary in early July, make sure you catch a day at the Stampede. Each year, the event features 10 days of rodeos, top-notch concerts, farm exhibitions, pancake breakfasts, carnival rides, food and stage shows. On top of the actual event at the Stampede grounds, the rest of the city seems to transform into a western wonderland during the Stampede. Their claim to fame is “the greatest outdoor show on earth” and we have to agree! 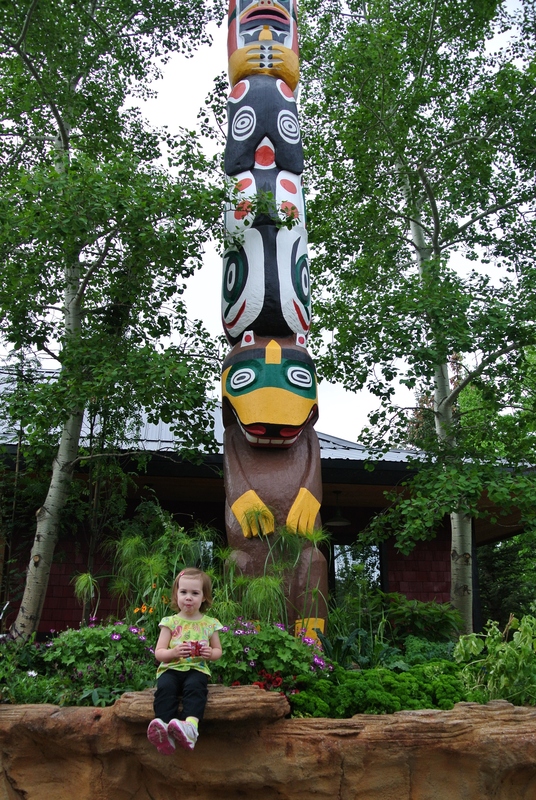 The Calgary Zoo – The layout of this zoo is part of what sets it apart from others. It’s designed to showcase the animals with other species from their native lands – like the Canadian Wilds, Eurasia, Destination Africa and Penguin Plunge. 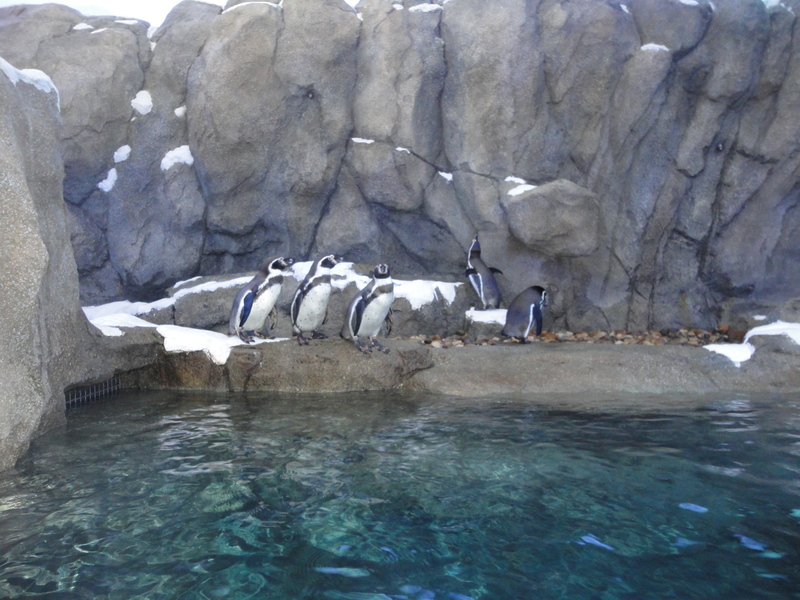 For the humans who visit, the zoo is smartly designed with about half of the exhibits indoor and half outdoor. That makes it perfect for those cold Calgarian days because visitors can view the outdoor animals for a while before taking cover to spy on the more sheltered creatures. Giraffes, bears, red pandas, hippos, tigers, rhinos and gorillas are just a handful of the animals that call this zoo home. Historic City Market– The Calgary Farmers Market is an indoor market that is open year-round (which is good since there can be some pretty cold winters!) It features TONS of local vendors selling everything from local beef and produce to pastries and even health and beauty products. It is a fun place to just stroll and grab a bite to eat. Plus, there is a play area for the kiddos, and lots of events throughout the year for the entire family. Calaway Park – Calaway Park is the closest amusement-style park to Calgary. With many different kinds of rides, Calaway Park is great for kids from about 18 months of age and up. Along with the rides, the park features some great free shows that can help break up a day of rides! Be sure to pack a lunch for your visit to avoid long lines! Heritage Park Historical Village – If you or your family want to take a trip back in time, be sure to check out Heritage Park. There are more than 180 attractions that display how Western Canada came to be settled. Be sure to check out the train, wagon and boat rides, which are all included in your admission, plus a toddler play park that is great for little visitors. With much of the park outdoors, an added bonus to checking out all the sites is fresh air and a good walk! And if you work up an appetite with all the exploring, be sure to grab a cinnamon or cheese bun from the bakery before you head out! Calgary Corn Maze and Farm Fun – Before the winter chill sets in, Calgarians flock to this fall favorite. With enough activities to easily fill a whole day, this place warrants repeat visits. The Calgary Corn Maze has loads of toddler-friendly attractions as well as those for the bigger kids. Some of the highlights include rubber duck races, a grain train, mini golf, tractor tire mountain, pig races, an inventive petting zoo, monstrous jumping pillows (we recommend using the bathroom before trying them out) and, of course, a corn maze! You can either bring a lunch and snacks or buy them on site. There is also a large playground area for kids to play near picnic tables. TELUS Spark – This place bills itself as “the new science centre” and it delivers! This is not the stuffy old museum that moms and dads may remember from their own childhoods. It’s packed with interactive attractions that help kids really dive into science. The Creative Kids Museum section is geared toward younger visitors and offers plenty of hands-on opportunities for learning. There’s also a safe space designated just for little ones who aren’t walking yet. Being Human is another exhibit that is sure to bring a smile to your child’s face as they discover how their body and brain work. Editor’s tip: Dress your kids in comfortable play clothes so they can get involved by climbing, crawling and even splashing in some areas at Spark. Olympic Plaza – There are only so many cities that host the Olympic games and Calgary is one of them! Olympic Plaza was built in 1988 and served as the site of the medal presentation ceremonies for the games. Today, it’s a beautifully landscaped oasis amid the city’s busy downtown scene. A large reflecting pool is perfect for kids who want to splash around during warm months and in the winter it’s frozen over for ice skating – just make sure to bring your own skates because there are no rentals available. All year long this is a agreat spot for lunch and people watching. Saskatoon Farm – For a different taste, literally, check out the Saskatoon Berry Farm just south of Calgary. In the summer at the farm, you can head out and pick your own berries right from the bush. Saskatoons resemble blueberries, but have a different taste and are used in all kinds of foods. If you want to try some of the foods that include them, you can right at the farm in their café! (We recommend the pie!) There’s also a large garden center on site that sells plants, trees, herbs, flowers and more. The farm’s main building serves as a huge art gallery with walls that are packed with paintings, metal artwork, mirrors and other decorative pieces. Cats roam freely at the farm and at the back of the property is a stunning view worth capturing on camera. 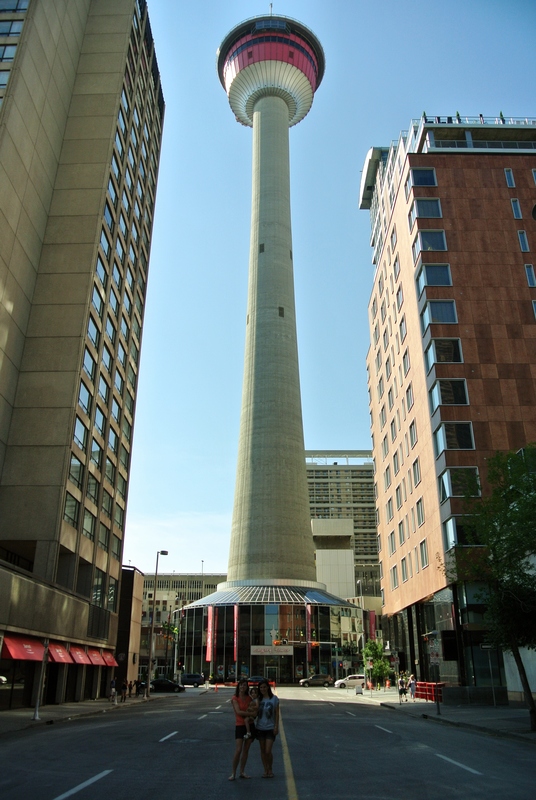 Calgary Tower – The Calgary Tower is iconic in the downtown skyline. It is a bit pricey to head up to the top ($18 for adults, $9 for children ages 4 to 12, with ages 3 and under free), but it really is a great view of the city. Although there are other buildings taller than the tower in downtown, it allows for a 360-degree view of the city and glass flooring on part of the observation deck to see directly below. Also in the tower, Sky 360 allows diners to eat in the tower while it spins the entire 360 degrees every 45 minutes. Banff – You really can’t take a trip to Calgary without heading out to the mountains. They are a spectacular sight from the city, but seeing them up close and personal is a must. Banff National Park includes a variety of sites and hikes to experience. The crown jewel of the park is the famous Lake Louise, a turquoise blue-watered lake. (If you head to Lake Louise, do yourself a favor and stop at Moraine Lake as well. Your won’t be disappointed!) The mountains are great no matter the season, although summers are especially busy with tourists! Next story Good Move: The Book that Every Moving Mom Needs to Pick Up!